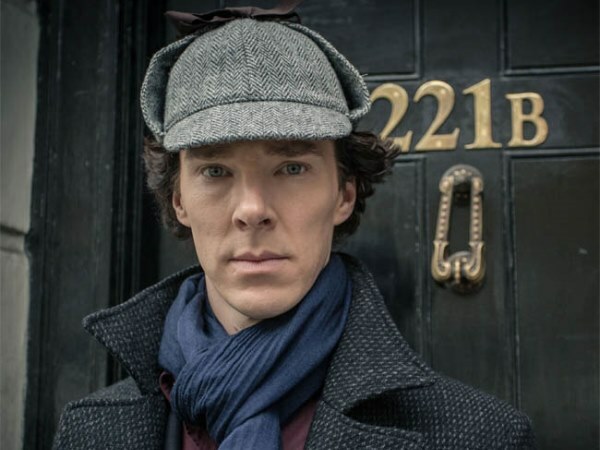 Benedict Cumberbatch shares Sherlock notes with Robert Downey Jr.
Benedict Cumberbatch "shared notes" with Robert Downey Jr. about playing the character Sherlock Holmes when he met him at the weekend. Benedict Cumberbatch "shared notes" with Robert Downey Jr. on playing Sherlock Holmes. The British actor plays the fictional detective in the BBC series, while Robert has portrayed him in Guy Ritchie's movies Sherlock Holmes and Sherlock Holmes: A Game of Shadows, and the two recently met to discuss their respective roles. Benedict told AccessHollywood.com earlier today, "I sat down on the sofa with Robert Downey, Jr. last night and we had our first conversation and shared notes on playing Sherlock Holmes. "This is the most dramatised fictional character of all time, so there's a lot to talk about." Benedict added he is also friends with Johnny Lee Miller, who plays Sherlock in US drama series Elementary, saying, "We're all fans of one another. We're all supportive ... We're really good friends and I can safely say that Robert's in the same cannon after last night. We had a wonderful chat." Benedict also talked about his parents, Timothy Carlton and Wanda Ventham - who are also both actors - appearing as his character's mother and father in Sherlock. He explained, "[Working with them on Sherlock] was wonderful. It was the first day on set and everyone was nervous, they were really nervous, but I did - at some point - sort of try to manage their nerves as well as mine and it was a glorious thing ... It was a joy. I mean, it's going to be something ... hopefully I'll be showing my grandchildren. It's a real special thing, and I've got the utmost respect for their craft."